Social science education sees young people’s active participation in the society as an important aim. The general aim of Social Science programs, which includes Social Studies, History, Turkish Republic Revolution History and Kemalism, Geography, Philosophy, Psychology, Sociology, Education of Religion and Ethics and National Security Information lessons, is to bring up individuals who express themselves, listen to one another, are loyal to Atatürk’s principles and reforms, are aware of the necessity of preserving environment and cultural heritage, are democrat, have universal values. In the studies, the values of the period, information about the period and opinion essays are taken into account. The effects of the events and the facts to be analyzed are examined thoroughly. Each study is based upon certain concepts such as change and consistence, similarity and difference, cause and effect, time/chronology and facts and opinions. Moreover, Social Science prepares our students for the exams “SBS, YGS and LYS” with its programs that are integrated with lesson progress. Use the terminology necessary for them to express themselves in daily life. Succeed in establishing a connection with understanding today and forming expectations about feature by interpreting yesterday. Understand the role of place and develop the skill of using place effectively. Analyze the ways the societies live in a place, settle, organize, and understand the place according to various subjective points of views. Be sensitive towards any kind of problems related to their country and the world; adopt universal democratic citizenship values. Know themselves and be conscious of their behaviors by grasping scientific thoughts existing in both philosophical and sociological and psychological dimension. Learn how to think, discuss, decide and choose, and “thinking” that brings students socialization and is the main function of humankind via contemporary philosophy of education. Approach to others’ beliefs and lives with respect. Carry out historical, cultural, social and economic evaluation by knowing the place and the importance of Turkey among world countries in 21st century. Be aware of the importance of preserving and improving the values, knowing Ataturk’s principles and reforms, secular, democratic and contemporary principles. Be aware of the importance of preserving secular, democratic and contemporary values. Know rights and responsibilities of citizenship; gain practical use of this in their lives. Know the values of the society they live in; grasp the importance of universal values. Gain the skills of questioning, criticizing, and evaluating. Gain the ability of analyzing and comparing the causes and effects of the social, economic and political events in the past. Be sensitive towards any problem related to our country and the world and at all levels. Understand the importance of cooperation and interdependence against problems. Be aware of the importance of natural and cultural values. Gain all the information and the skills required for them to go to high school. Be aware of the importance of knowing Atatürk’s principles and reforms. 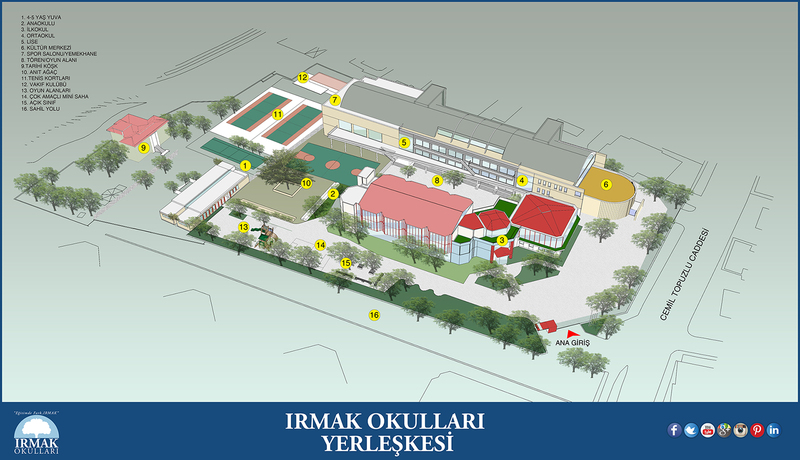 As Irmak Schools Social Science Department, we aim to have our students gain all the information and the skills required to prepare them for high school education within curriculum programs determined by MEB. This page was created on 8.2.2017 11:47:22 and has been visited 1151 times.